If you are using Sage 300 CRE as your accounting system, you can export your payments, journals, invoices and credit notes from within Operate. Please note that this export does not include accounts, contacts, etc. The accounts that exported charges are associated with will need to be created in both Operate and Sage in order for the export to run correctly. Account/Customer Names - Ensure that the Operate Account ID (found in Member > Accounts) matches the account/customer name in Ssge 300 CRE. Product Names - You can export a list of the names from the All Products list view if you have to edit existing products in Sage. 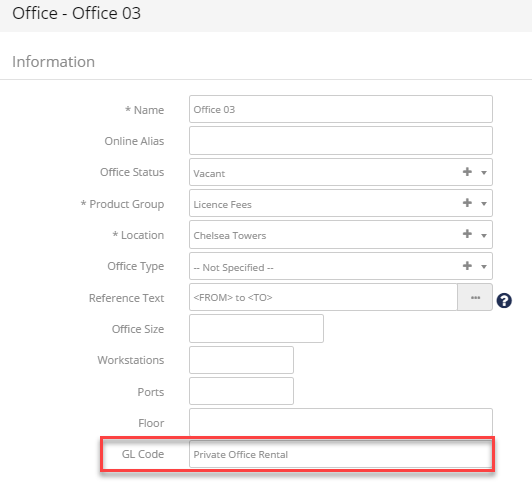 GL Codes - In Operate, you need to set up GL codes at the Organization level, under Settings > Organizations. GL codes. Operate also has to have the GL Code field filled in on the Items/Products, to match the ones in Sage. Taxes - In Operate, go to: Settings > General > Organizations > Taxes and edit the Standard VAT / Tax Rate. Here is where the Tax Code field will need to be set to match the tax codes within Sage. If you are using exempt for example, the Tax Name is "Non-Taxable Sales", and the tax code you complete into the Tax Code field might be None. Go to Settings > Organizations and for each Organization you want to export data for, set an Organization Code. Go to Space > Locations. For each Location that you want to include in the export, add the Department No. (Under the Site Financial Details section). Also for each Location, add an Import File Tag. This is a code that the export will use when gathering your data. It can be any code you want to use. In case either the Department No. or Import File Tag are not visible on your Location page, please edit the page layout and add it. Go to Settings > Integrations and search for the Sage 300 CRE app, then install it. You can then click Open or go to Invoicing > Sage 300 CRE to begin your Export. To start running your export, open the Sage 300 CRE app, either from the apps list or from under Invoicing, as mentioned above. will export transactions that would not have been exported before. Booked Transactions may already be exported. Exporting booked transactions may lead to duplicates in your financial accounts. Select what range of transactions you would like to export: All Transactions, Last Month's, This Month's or or a custom transaction list. If you decide to Choose Transactions, you will be asked to select a Location then the specific year, month and transaction you want to export. Import Type ID - This is always set to GLT (General Ledger Transaction) and it is fixed. Journal Type - This is always set to '5' telling Sage that this is an imported transaction. GL Code - GL codes are made of the legal entity code, the department number set against the Location of the transaction, as well as the GL code set against the Product. The export is summarized to the GL code. It does not export detail and it is summarized at product group level. Reference - The current date without slashes, in UK format. Reference 2 - The import file tag and the department number, both put together. Description - The product group description. If an invoice is included, the total of credit and debit columns should come to 0. For Sage we have to post two transactions to keep the ledger in balance.